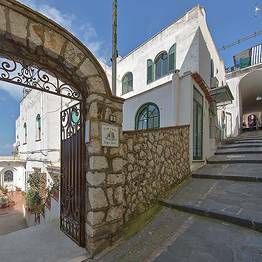 Apartment is located in the heart of Capri Island, just 30 meters from the Piazzetta, (famous for its historic bar and meeting place) and the shopping streets. 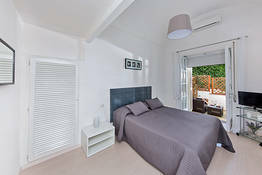 The apartment has two independent rooms with two double beds (or four singles), a bathroom with shower, toiletries, hair dryer and towels and a small kitchen equipped with refrigerator, oven, electric hob, kettle and coffee machine. 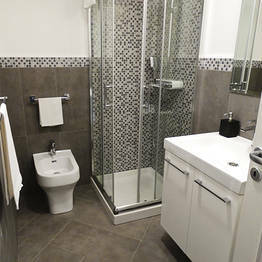 It has conditioned air, SmartTV and free wifi. 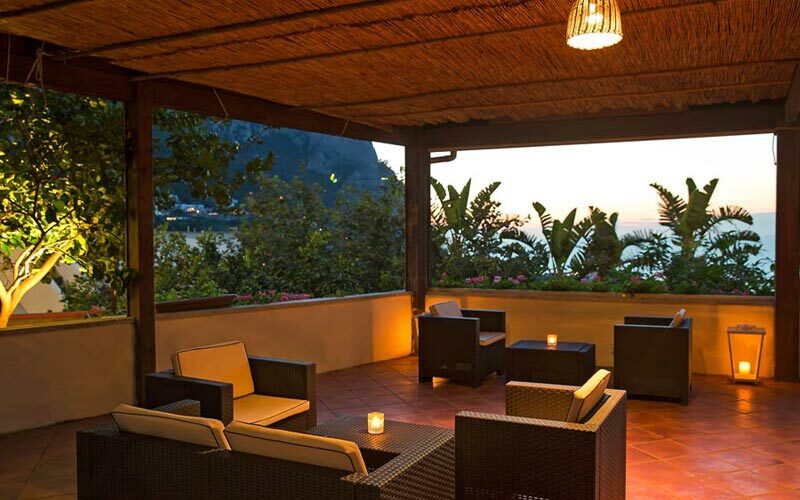 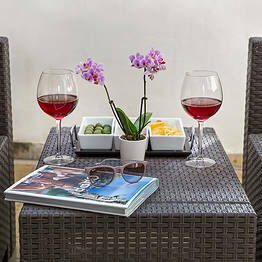 Guests can also enjoy lovely outdoor terrace overlooking the sea where you can relax and enjoy an aperitif at sunset. 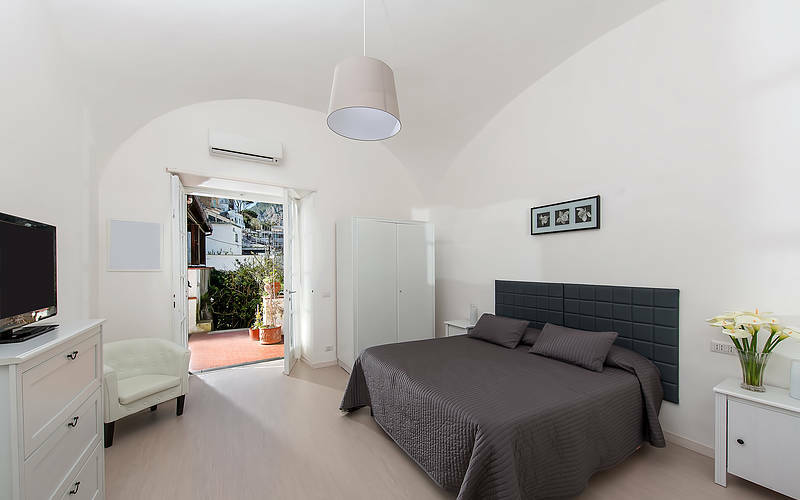 The apartment is located in the heart of Capri Island, just 30 meters from the Piazzetta, (famous for its historic bar and meeting place) and the shopping streets. 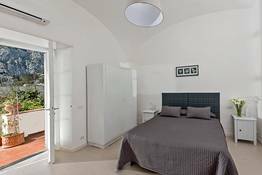 The 120sqm apartment has two independent rooms with two double beds, large living room with sofa bed, two bathrooms with shower, toiletries, hair dryer and towels, a kitchen and equipped with kettle, coffee machine, oven and washing machine . 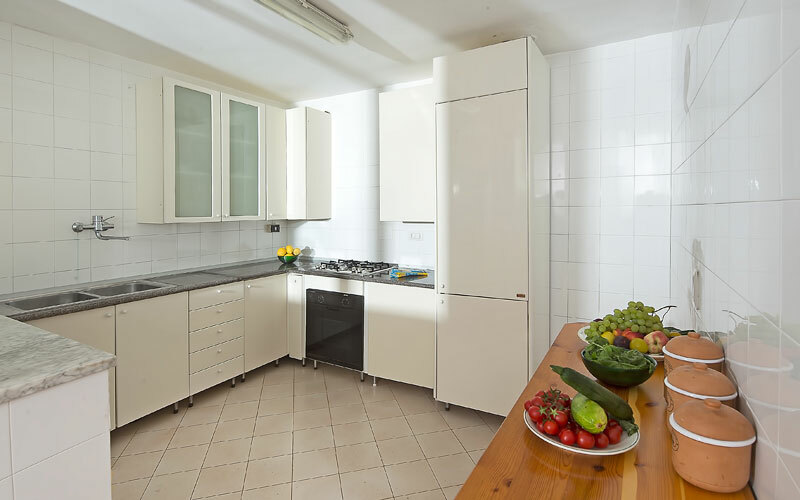 The apartment has one room with double bed (or two singles), a bathroom with shower, toiletries, hair dryer and towels and a small kitchen equipped with refrigerator, oven, electric hob, kettle and coffee machine. 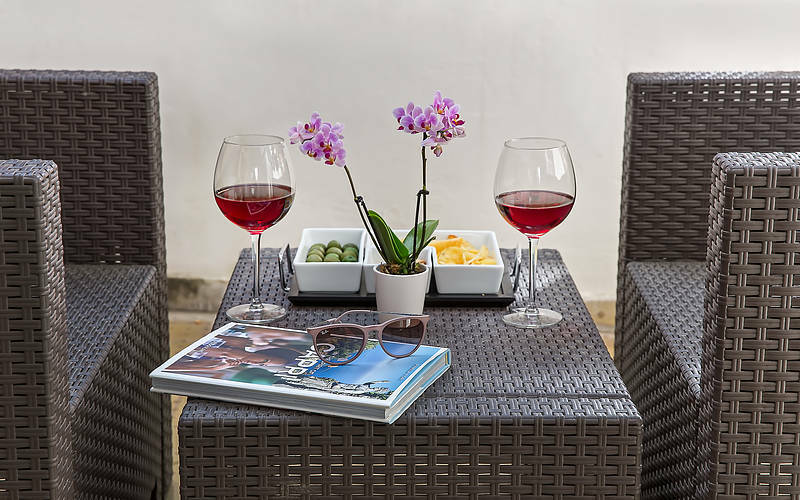 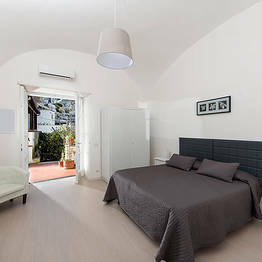 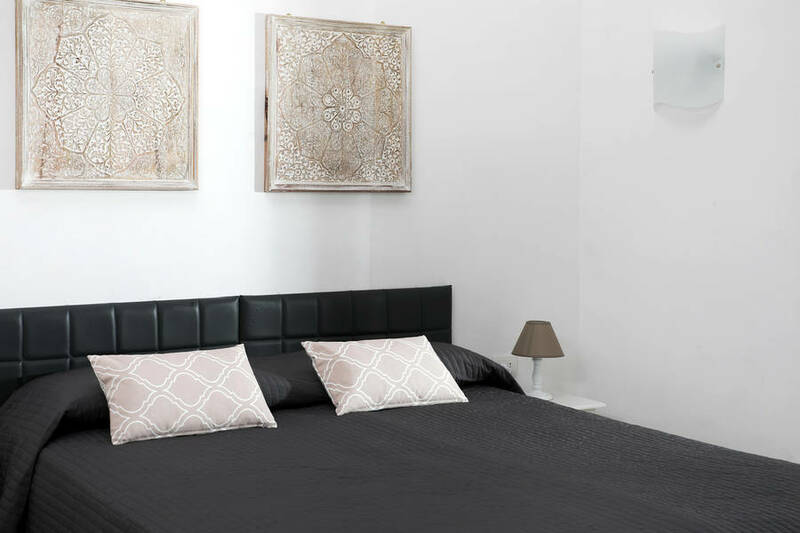 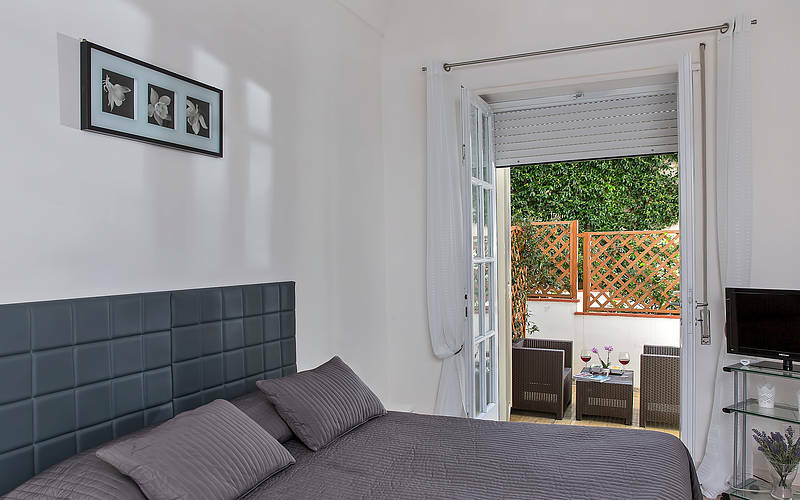 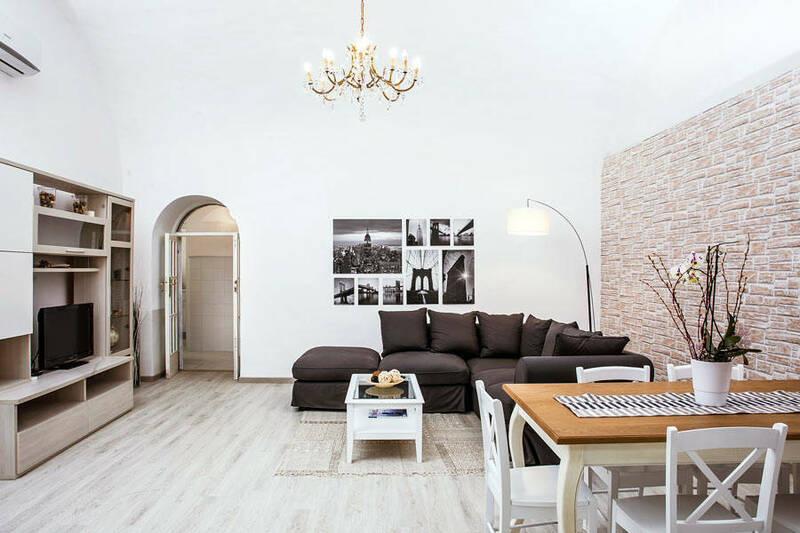 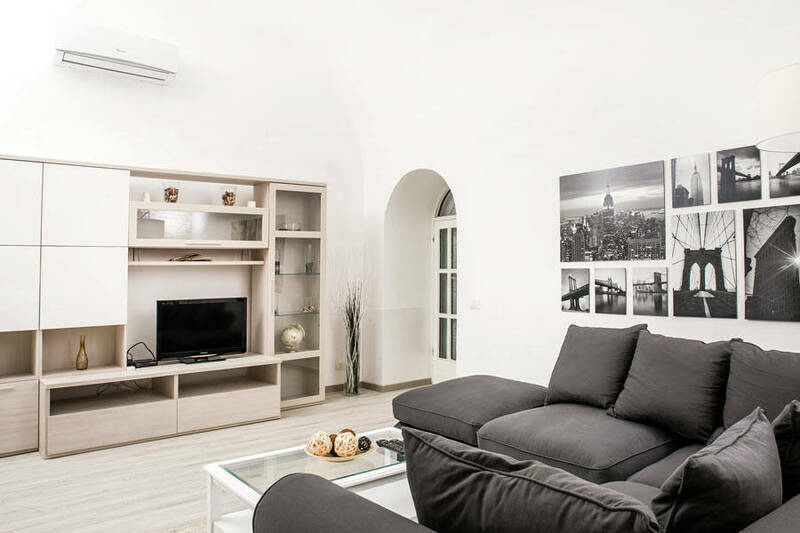 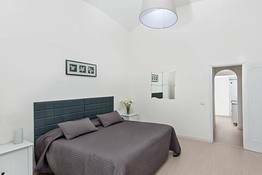 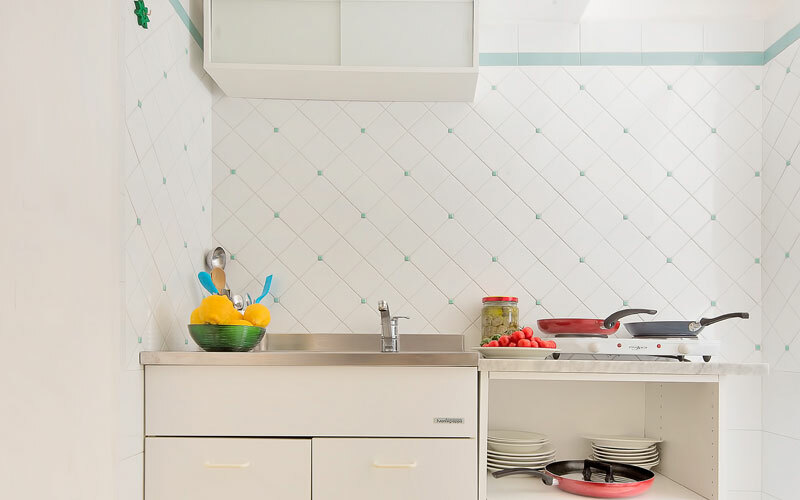 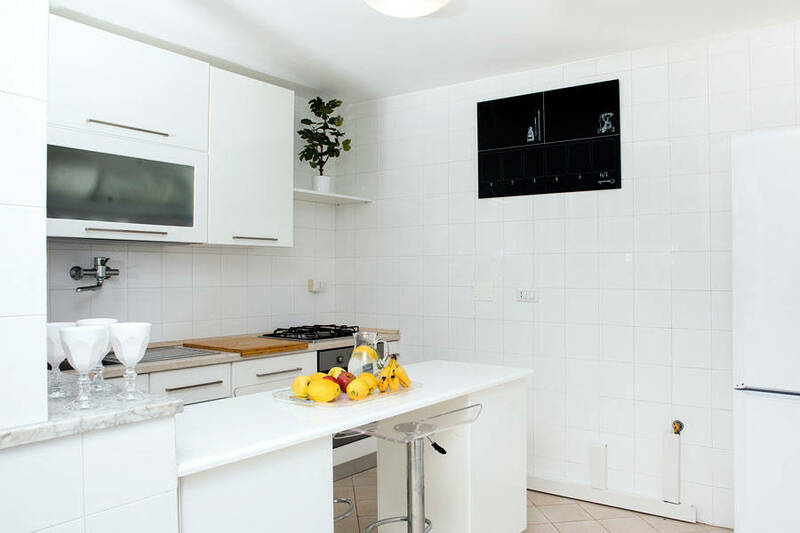 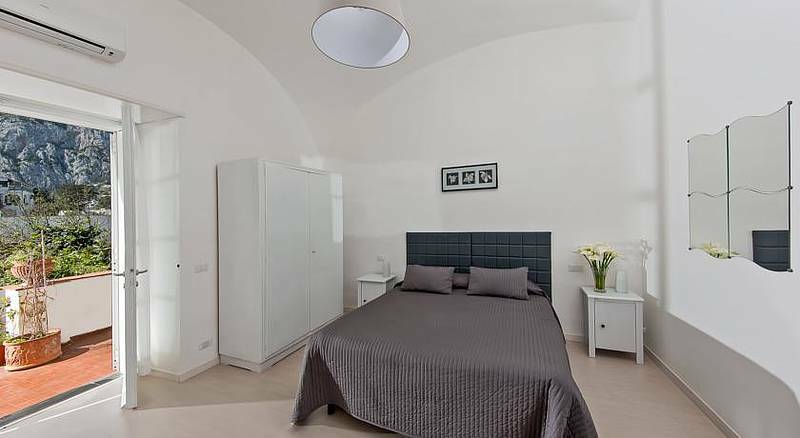 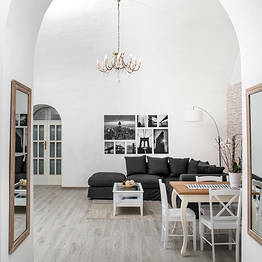 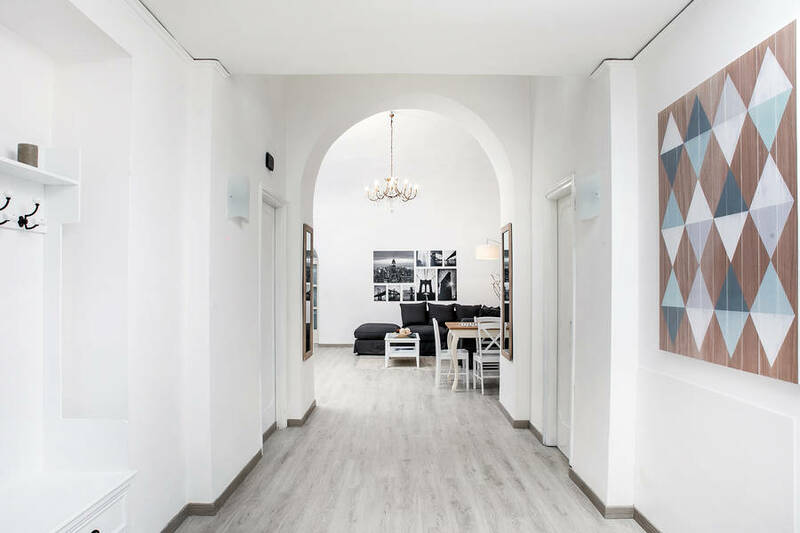 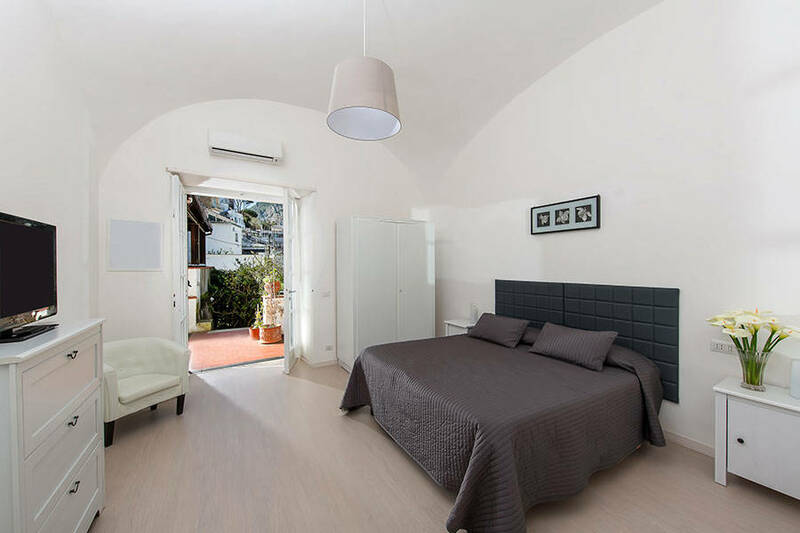 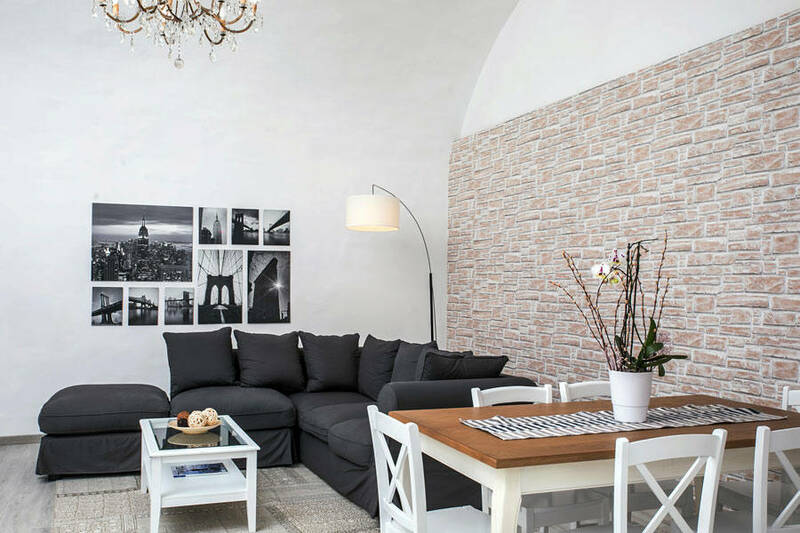 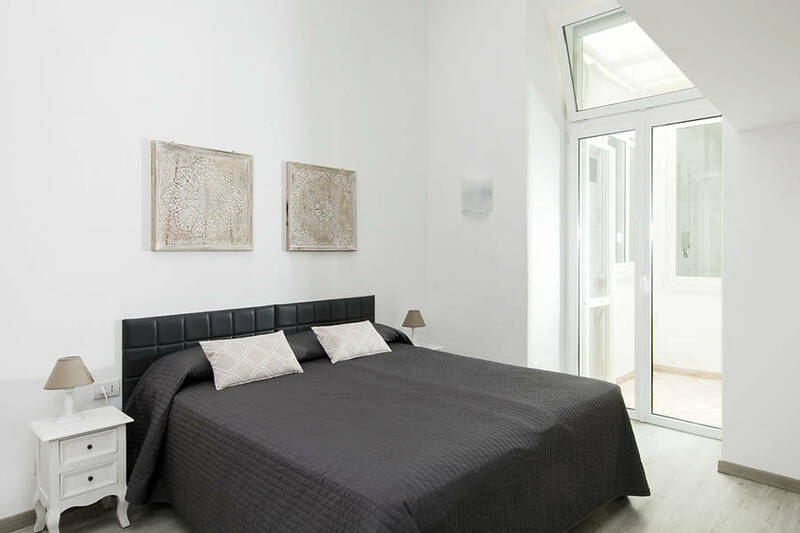 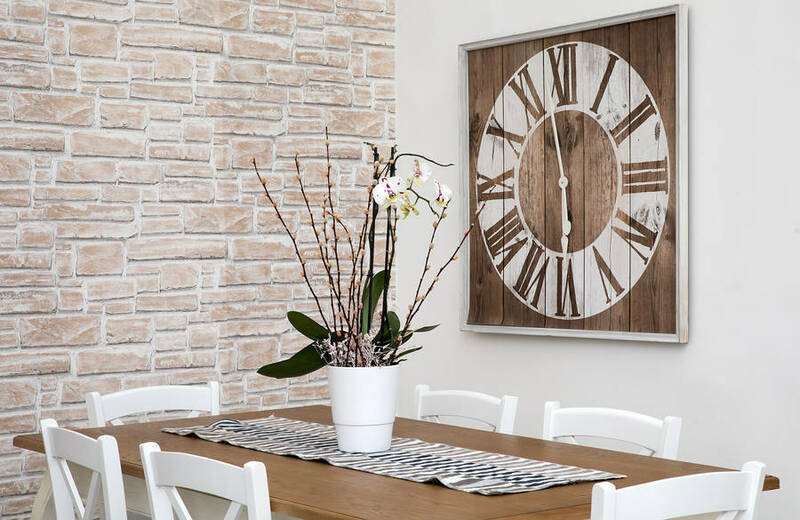 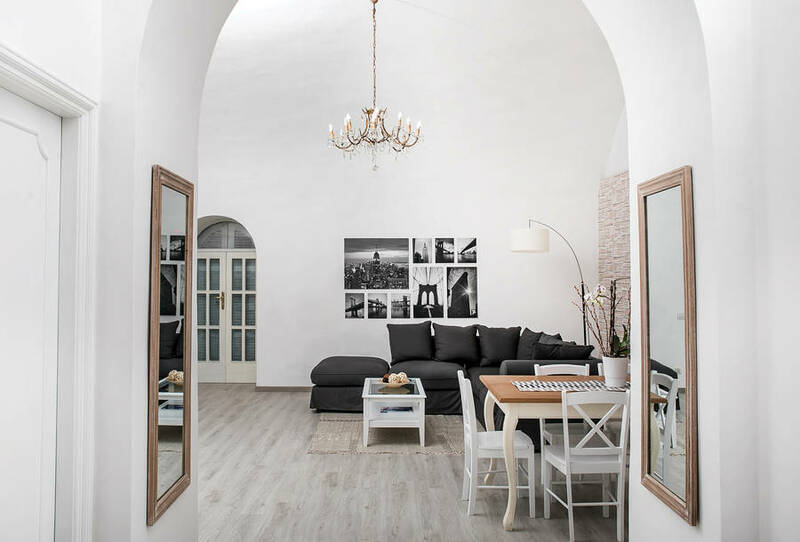 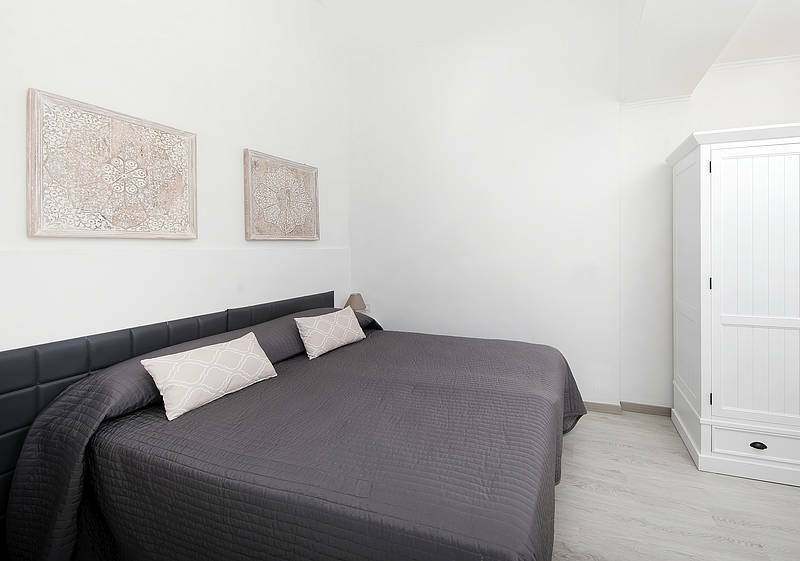 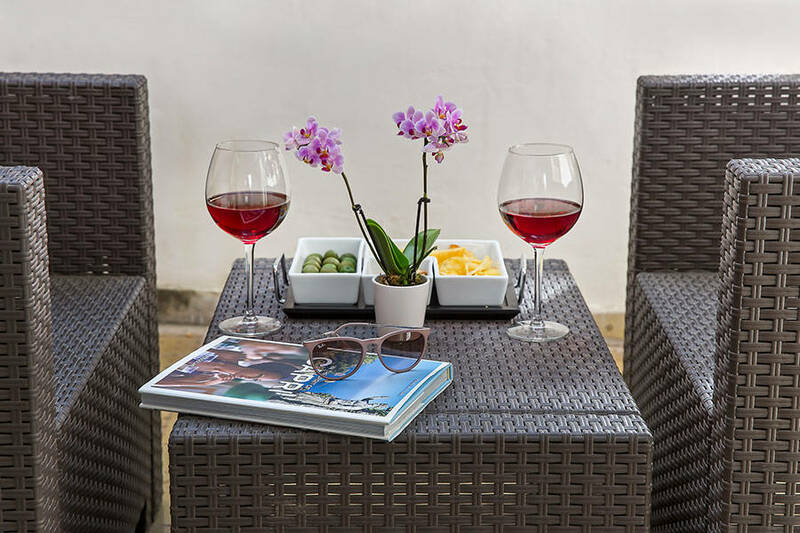 If you've decided to take a holiday on the island of Capri but would rather stay in your own fully-serviced apartment than a hotel room, you're going to love Capri Town: a guest house comprised of two independent apartments, within meters of the Piazzetta. 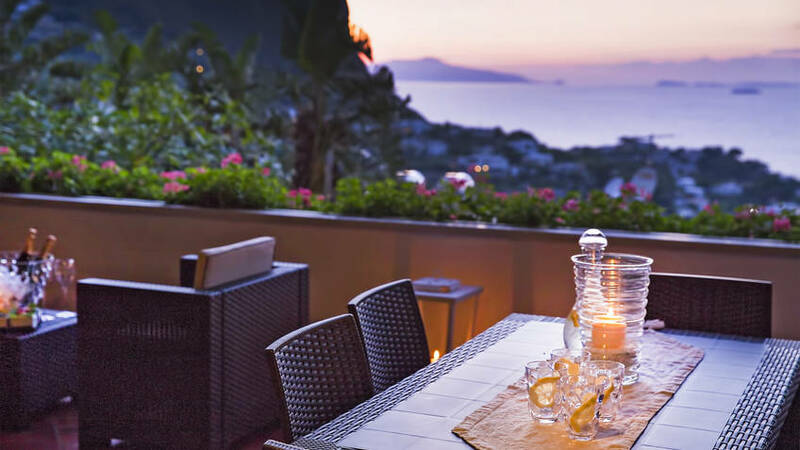 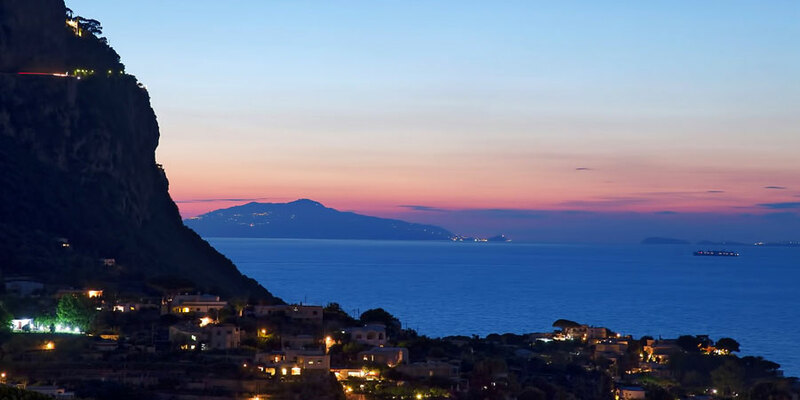 Boasting beautiful views of Marina Grande, Monte Solaro, the island of Ischia and the Bay of Naples, Capri Town's large covered terrace is the true heart of the guest house. 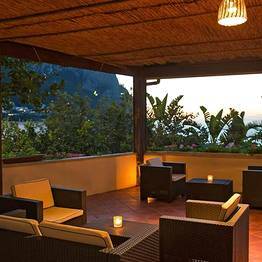 This is where guests regularly get-together to enjoy a typically Mediterranean breakfast, a sunset aperitif or leisurely al fresco dinner. 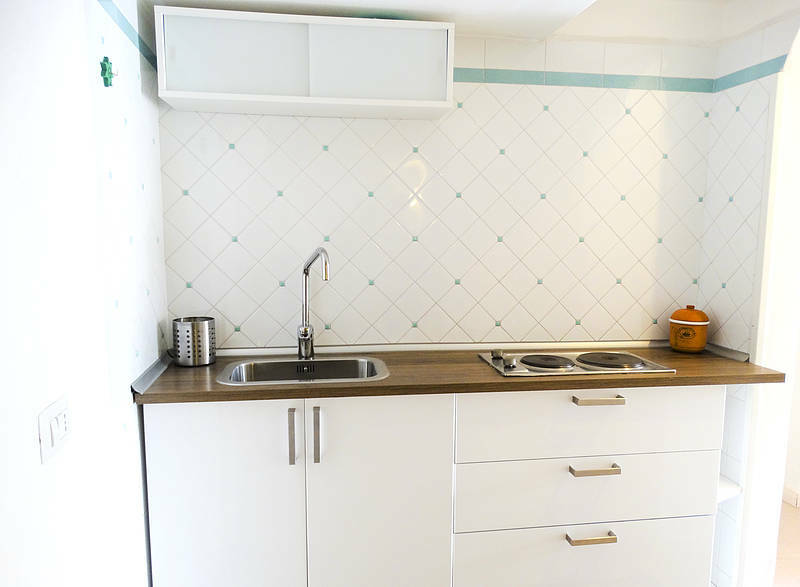 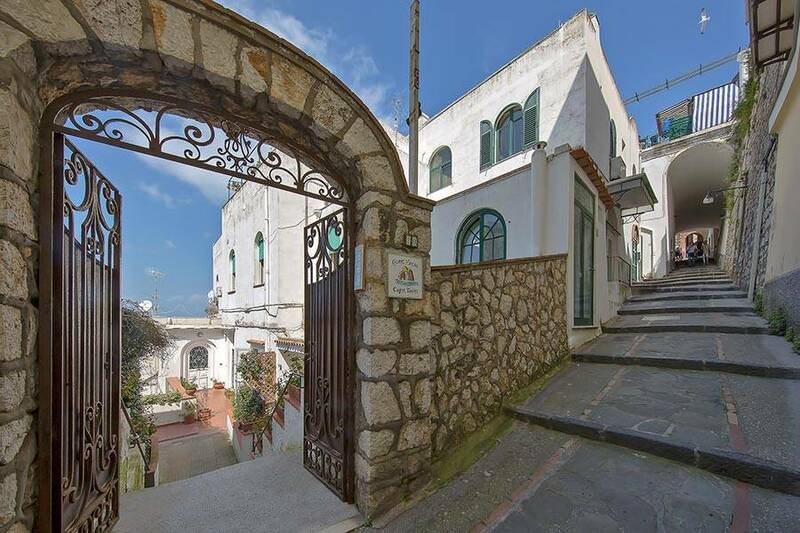 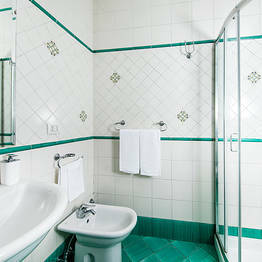 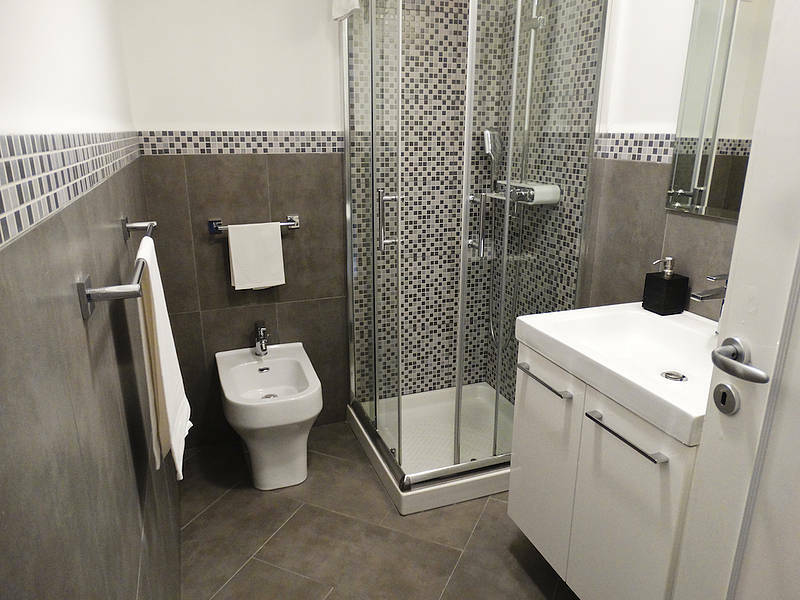 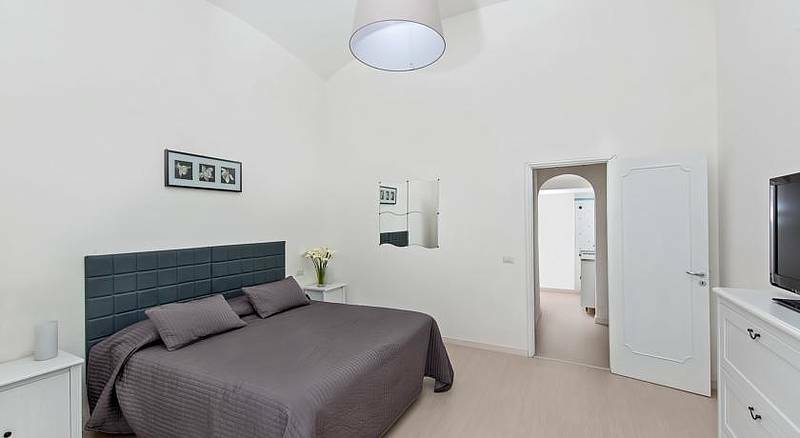 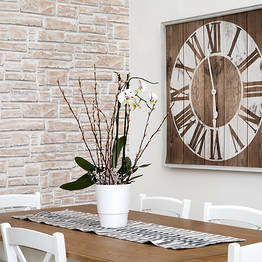 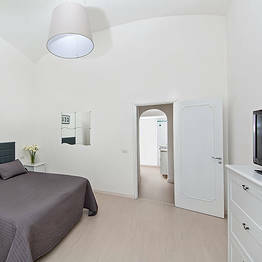 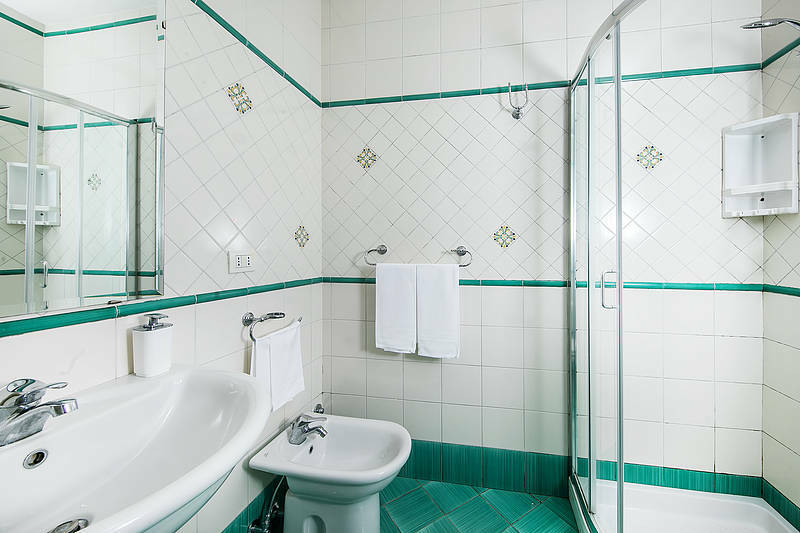 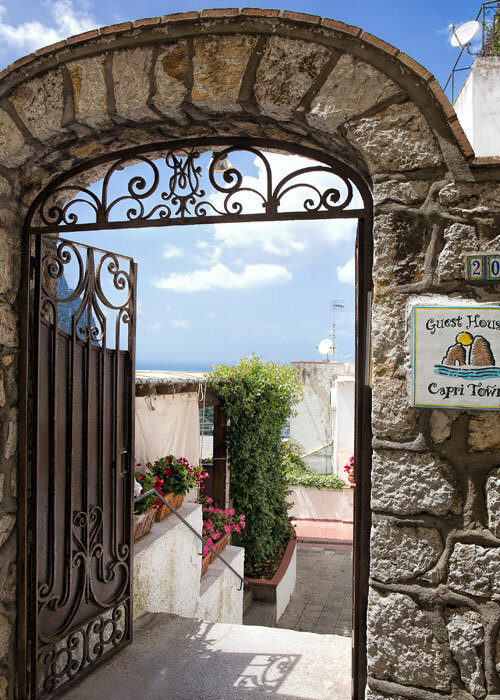 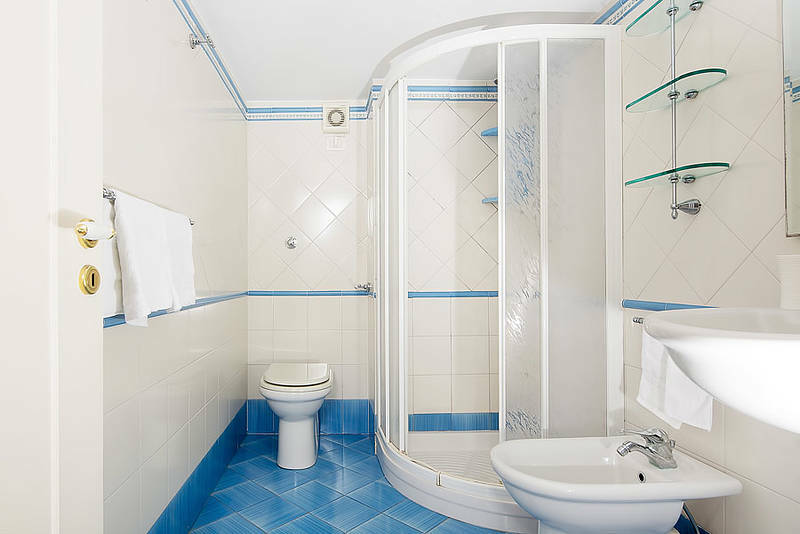 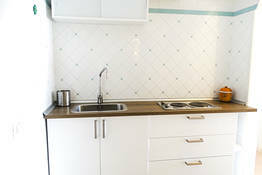 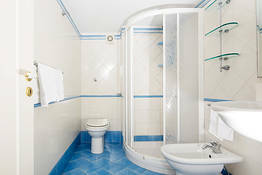 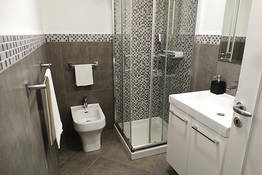 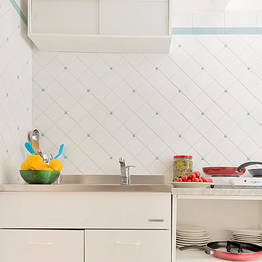 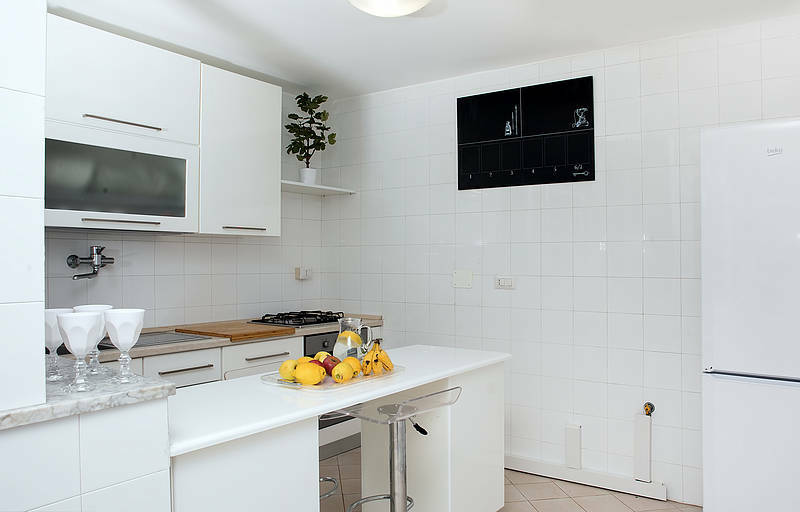 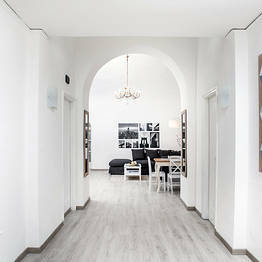 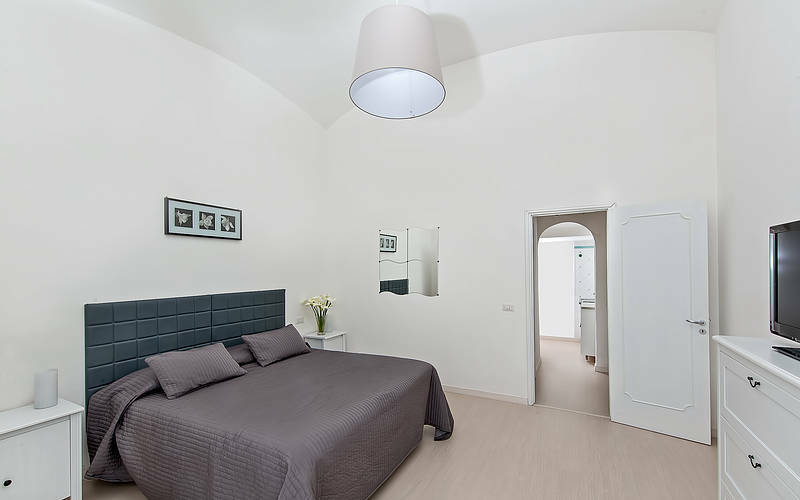 Capri Town's "Comfort" apartment has two double bedrooms, a bathroom and a kitchenette. 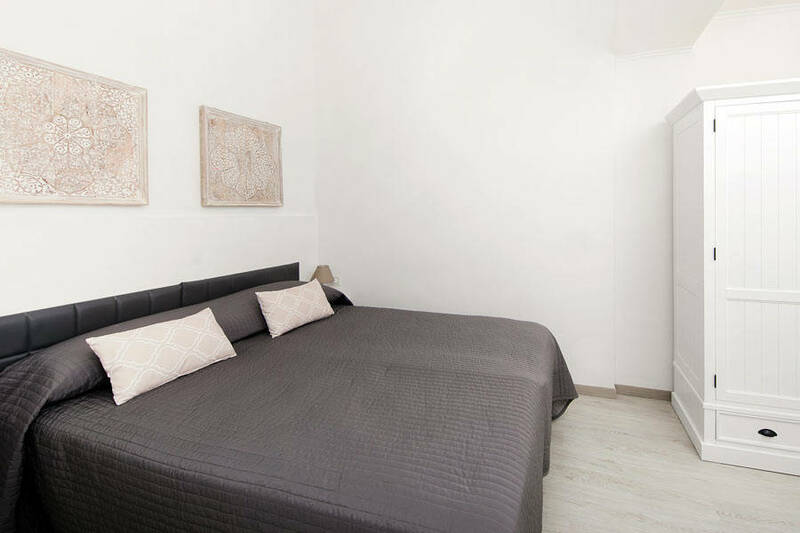 The significantly more spacious "Superior" apartment (which, at a whopping 120sqm, is twice the size of the Comfort apartment) is comprised of two double bedrooms, two bathrooms, a living room with double sofa bed and a fully equipped kitchen. 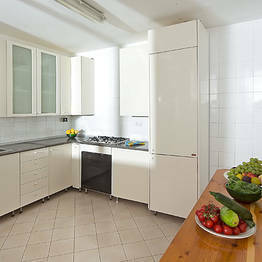 Both apartments have flat screen television, air conditioning and Wi-Fi. 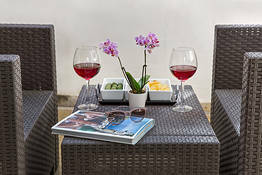 Book one (or both!) 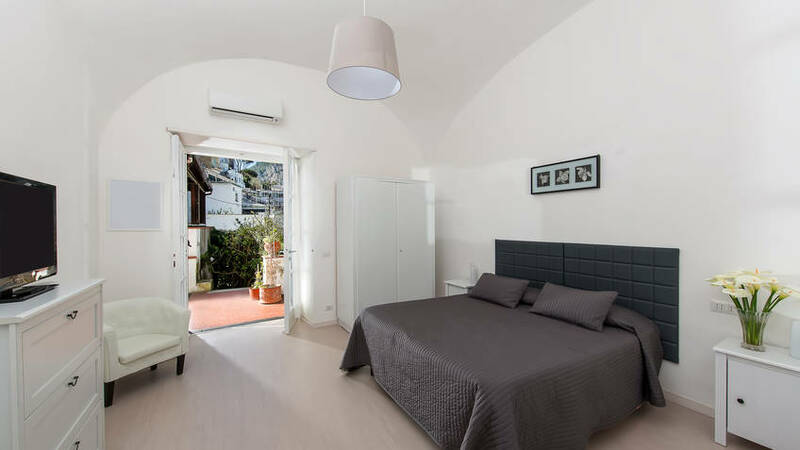 of Capri Town's apartments and, not only do you get to enjoy the freedom and privacy of staying in your very own island home, you get to stay right in the heart of Capri too! 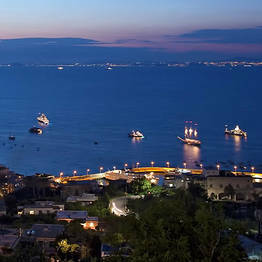 To reach the world famous Piazzetta, all you have to do is walk up the old road which once linked the square with the port of Marina Grande and you'll quickly find yourself brushing shoulders with the pop-stars, politicians and paparazzi who flock to this enchanting Italian island each summer. 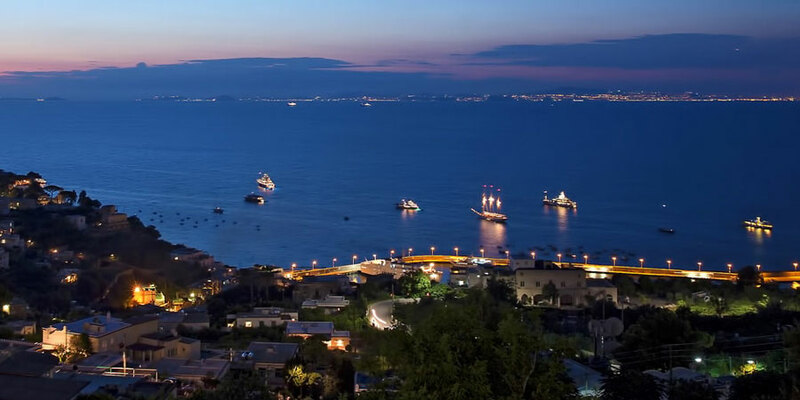 To say that Capri Town is in the center of Capri is something of an understatement: the guesthouse is a mere 20 meters from the Capri's funicular (which connects the town center with the port below), 30 meters from the Piazzetta, 100 meters from the main bus terminal and taxi stand, and 300 meters from Via Vittorio Emanuele and Via Camerelle, the island's designer shopping streets. 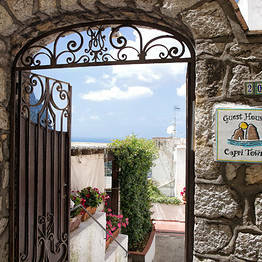 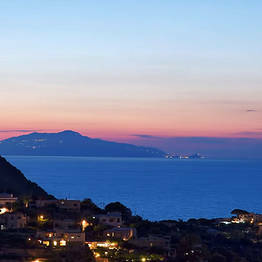 Book Capri Town on Capri.net now with no additional booking fees.